The result of Saturday’s R1-million Gr.2 Gauteng Guineas once again underlined Silvano’s ability to dominate major stakes races. On Met day, his daughters Nightingale and Star Expess hogged the limelight in the Gr.1 Klawervlei Majorca Stakes, and it was more of the same at Turffontein when his sons Janoobi and Al Sahem fought out a thrilling renewal of the first leg of the Triple Crown. Janoobi did it the hard way too, dictating matters from the jump under jockey Pierre Strydom. Sheikh Hamdan’s colt enjoyed a commanding two-length lead at the top of the straight but was joined by Al Salem at 150m out and, in a no holds barred battle, the pair raced to the line virtually as one. Janoobi kept finding that little bit extra though, and at the wire he had a head to spare over his game adversary, who was tasting defeat for the first time. Janoobi’s victory added to an auspicious occasion, providing maestro trainer Mike de Kock with a landmark 3000th winner. 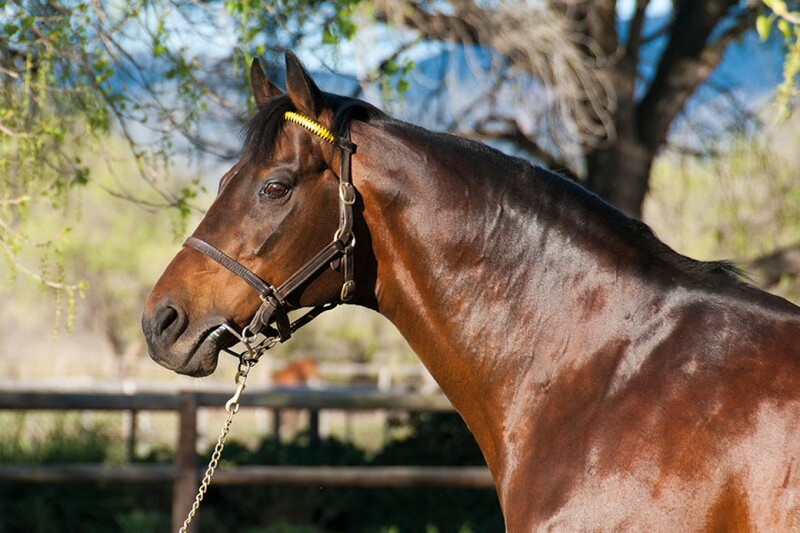 Bred by Maine Chance Farms, the colt was a R1.2-million purchase at the Cape Premier Yearling Sale. He is an own brother to the Gr.3 winning sprinter Sedge and is out of Shasta Daisy [Rakeen], an unraced daughter of the excellent foundation mare Scented Royal [Royal Prerogative]. Silvano stamped his presence on the day’s action in no uncertain manner. While the Guineas first and second was the undisputed highlight, he narrowly missed out on a graded double when Maine Chance-owned daughter Bella Sonata was pipped on the line in the Gr.3 Acacia Handicap and the diminutive Orchid Island took third in the Gr.2 Fillies Guineas. It comes as no surprise that this string of outstanding performances has catapulted Silvano to the top of the general sires list and he has shot over a million Rand clear of previous log leader, Captain Al.